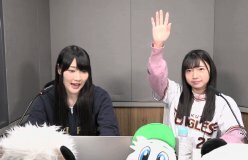 This was the 170th broadcast of Homerun Radio Patto UP, by Yuuki Kana and Eino Airi. This was the first live broadcast of 2019. Kana said she woke up at 3 in the morning to go line up for the new year grab bags. Then after getting home in the afternoon, she slept, so she missed watching the 1/1 broadcast. 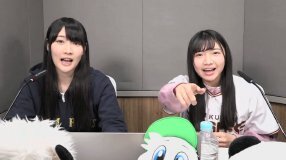 Airi said she went home and rested at home. She also missed watching the 1/1 broadcast.